After releasing the HIPAA One Security Risk Analysis, we received exceptional feedback on the product and how much our clients appreciated the simplicity and automation provided by the product. 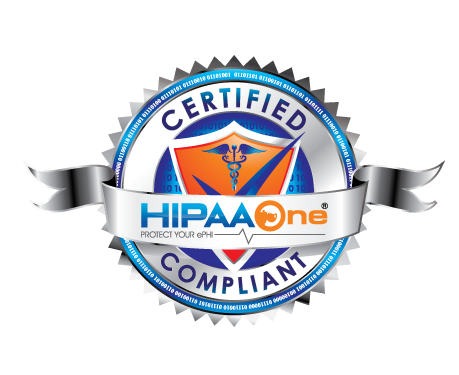 We have been committed to expanding our solutions and add products to be “all things HIPAA”. With the launch of the Privacy Risk Analysis, we now offer a full suite of products to address all citations and requirements related to HIPAA Security, Privacy and HITRUST. Having implemented and performed the HIPAA One Security Risk Analysis at over 2000 locations, we know the importance of having a cloud-based process that is easy to understand and allows collaboration among different departments. Furthermore, our Privacy Analysis, like our Security Risk Analysis, is offered in three different levels of engagement to meet the needs of not only the large practices, but also the small health and dental practices. With the rise in hacking and breaches, our goal is to provide timely solutions to clients to ensure the patient information they keep is safe and secure. Furthermore, the OCR is accelerating the frequency and number of audits, with HIPAA One solutions, you are guaranteed to pass. As with any convenient features, there is always an impact on security. Unfortunately, security and functionality are often inversely related. Cortana: Microsoft’s answer to Siri and Google Talk. 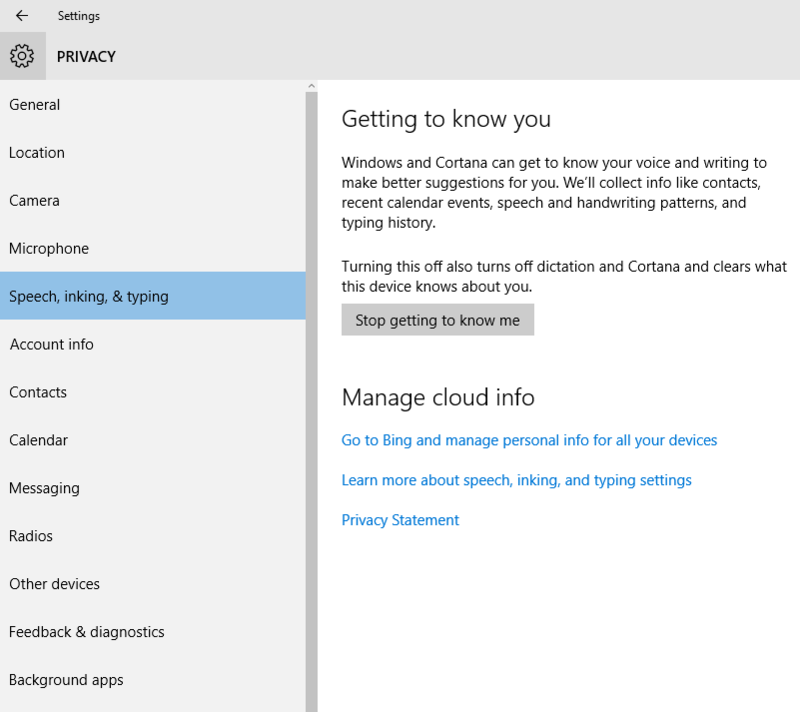 Cortana “learns” how each person speaks and writes by taking samples. In addition, names, nicknames, recent calendar events and contacts are maintained. Data Sync: Default setting allows the operating system to sync settings and data into Microsoft’s servers. It is intended to sync passwords, website plugins, favorites, etc. ; however it may lead to users’ credentials being vicariously breached by Microsoft. 3rd party Advertisers: The Advertising ID provides a unique identifier per user allowing collections of data to be shared with 3rd party advertisers. 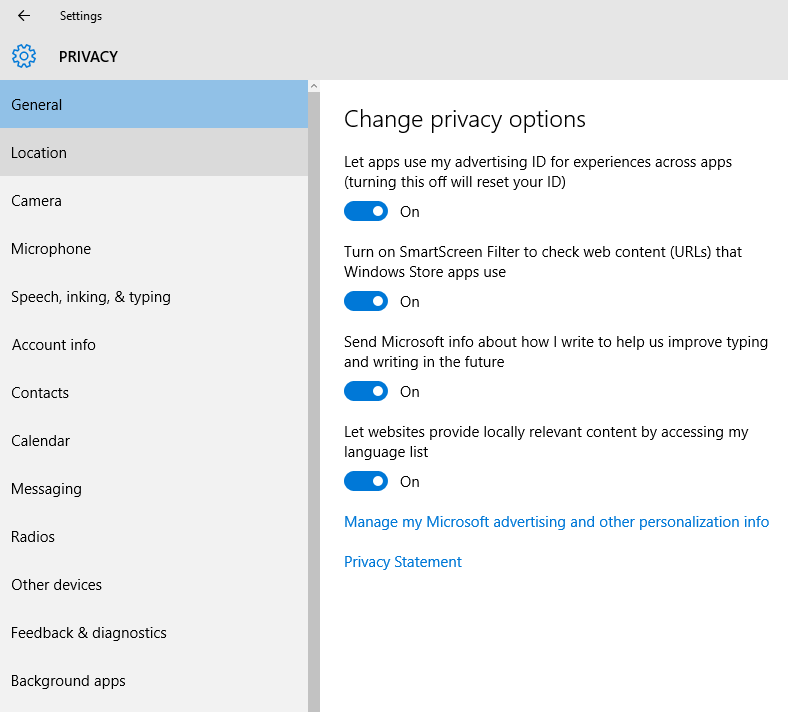 This may help fund the “free” upgrade to Windows 10 from previous versions, and is provided to help provide more effective targeted ads when using 3rd party applications. Turning this off will not block ads from appearing, but they may not be as targeted, as your users will remain more anonymous with this feature turned off. Bitlocker: Windows 10 will automatically backup your encryption key to OneDrive, unless you are using Active Directory Group Policy to manage this element. Also, if you are using Bitlocker or planning to use Bitlocker, ensure you use the TPM+PIN option or turn off hibernation/sleep support to avoid having to report a breach if a Bitlocker-encrypted laptop is lost or stolen. Telemetry: Those familiar with the Windows Pop-up sending diagnostic information after a program crashes to Microsoft for product improvement will want to know about Telemetry. Telemetry is an enhanced diagnostics and tracking service which sends additional information to Microsoft for new features such as per-application updates, Windows 10 upgrade offers, etc. This is a well-documented How-To disable Telemetry from our friends at Winaero. Business Associate Contracts – see privacy management process §164.504, §164.502, §164.524, §164.526,§164.528. To ensure diligence with HIPAA Privacy, it is unclear whether Microsoft will be sending ePHI from PCs anytime soon, which may result in “collateral damage” for those Covered Entities using Windows 10. And although the question on HIPAA Privacy violations is a tenuous answer, following some basic steps may significantly reduce your organization’s risk of violating HIPAA. 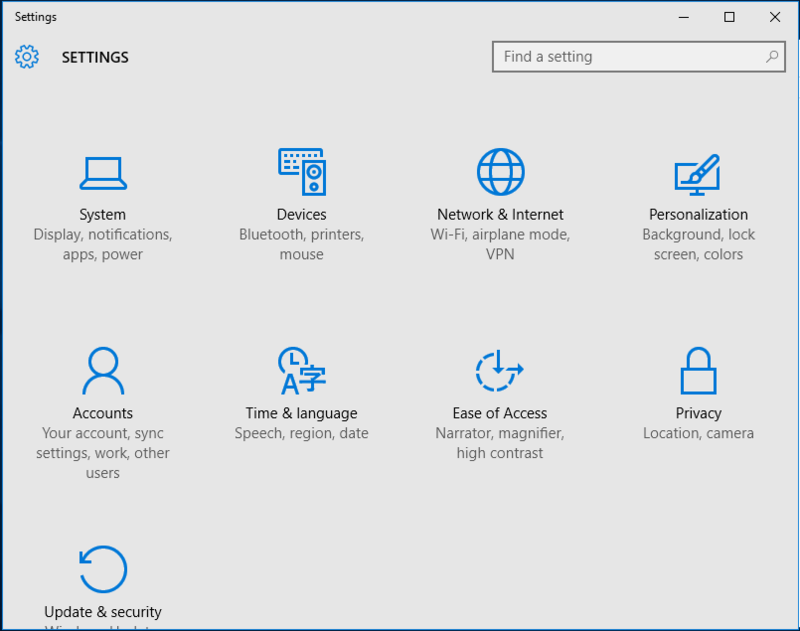 To maintain your organization’s level of due-diligence under HIPAA and the HITECH act, there are items to configure in Windows 10 to help avoid long-term repercussions that result from upgrading to Windows 10. By taking measures to test, configure and restrict information being sent outside your organization’s networks with Windows 10; you may request set of instructions below. In conclusion, Windows 10 does send information back to Microsoft and does such on a per-feature, per-benefit basis. Microsoft has provided a way to turn off these data-collecting features however, traditional system-level information will still be sent (as it always has been) to Microsoft. We strongly recommend turning these data-collecting features off. It is better to be safe than sorry! To request your copy of the full whitepaper, which includes specific instructions on which Active Directory Group Policies to edit, along with sources of Microsoft Administrative Templates for Windows Server 2012 and the Windows 7 & 8 KB patches to avoid, please request it by contacting us now, and we will be happy to send you a full copy. For a copy of the pcapng file replay of our tested Windows 10 Enterprise configuration in the updated version of this whitepaper, win10Run1. When it comes to HIPAA Security and HIPAA Privacy, numbers do most of the talking and according to recent reports, the number of HIPAA data breaches have increased by 138% since 2012. Another mind boggling statistic is that 29.2 million patient health records have been compromised in HIPAA data breaches since 2009, according to Redspin, which compiled these numbers in a February 2014 breach report. But these numbers are skewed since not all breaches are reported. Any breach that involves fewer than 500 people’s health records isn’t required to be publicly reported. According to Lisa Gallagher, the senior director of privacy and security for HIMSS, said at the 2012 Boston Privacy and Security Forum that it’s more likely that 40-45 million patient health care records have been compromised. While she said that’s a more accurate number, it can’t be confirmed since all the data isn’t there. Redspin also found the percentages of what’s accounted for the HIPAA privacy and security breaches since 2009: 83 percent because of theft, 35 for theft or loss of encrypted devices, 22 due to unauthorized access and 6 from hacking. Many of these breaches could be more easily avoided with consistent risk analysis. Risk analysis failures top the list for the most prevalent security issues for business associates and covered entities based on complaints received by OCR. While business associates were involved in most of the larger-scale breaches from 2009-2012, only 10 percent were involved in 2013. Business associates and covered entities that violate HIPAA privacy and security rules can face up to $1.5 million in annual fines under the HIPAA Final Omnibus Rule. Only 17 of the 90,000 HIPAA breach cases received by OCR since 2003 have resulted in fines, but it’s anticipated that those numbers will go up, especially since the official audit program goes live this year. The resumption of the HIPAA compliance audit program is on hold while regulators analyze pilot audit project results and implement the HIPAA Omnibus Rule, says Susan McAndrew of the HHS Office for Civil Rights.